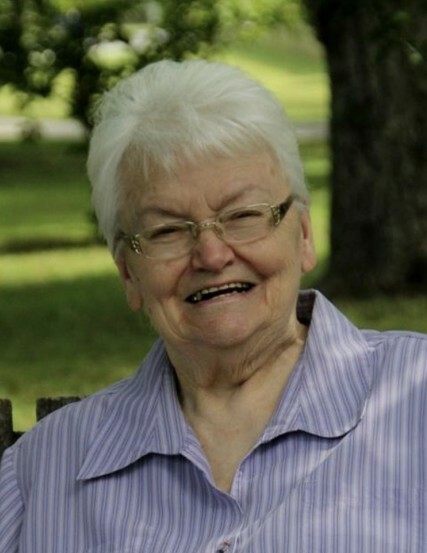 Fannie Lou Parker, 85, of Albany, GA, died February 12, 2019 at her residence. Funeral services will be held Thursday at 11:00 AM at Mathews Funeral Home. Rev. Charles Jones will officiate. Interment will follow in Leesburg Cemetery. A native of Elba, AL, Mrs. Parker graduated from Elba High School in 1950 and married her late husband, Shelby L. Parker. After her husband’s U.S. Army Enlistment, they moved to Albany, GA. She was a homemaker and also a career Civil Service Employee. Mrs. Parker served at Rucker Army Base, Turner Field, The Navy Base and retired from the Marine Corps Logistic Base in 1989. She was a member of Mercedes Baptist Church and the National Association of Retired Federal Employees (NARFE). Mrs. Parker was preceded in death by a son, Donnie Parker, and her brothers, Thomas Max Anderson and Marion E. Anderson, Jr. Survivors include her daughters, Sharon (Billy) Cox of Ozark, AL and Cheryl Honeck and Stephanie Parker (Al) Clemons all of Albany, GA, her grandchildren, Brandy (Nikole) Cox of Troy, AL, Warren (Courtney) Earp of Albany, GA and Mallory (Steve) Owens of Camilla, GA and her great-grandchildren, Parker Cox, Alyssa Earp and Alleigh Grace Cox. The family will receive friends from 6:00 PM until 8:00 PM Wednesday at Mathews Funeral Home. Those desiring may make contributions to Ronald McDonald House near CHOA @ Scottish Rite, 5420 Peachtree Dunwoody Rd, Sandy Springs, GA 30342.